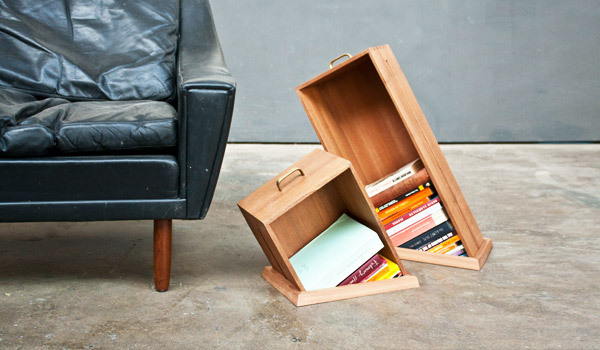 The Hole In The Floor bookcase is a creative and unusual bookcase; its by Raw Edges Design Studio. 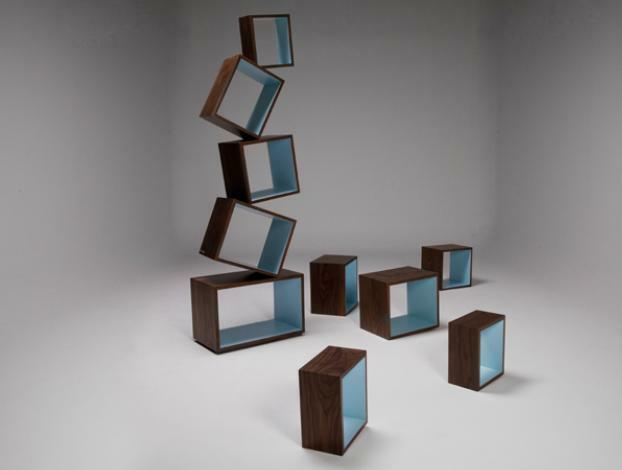 Equilibrium Bookcase : Creation of Malagana Design, it is called Equilibrium Bookcase; all modules are placed upon each other at an angled point. 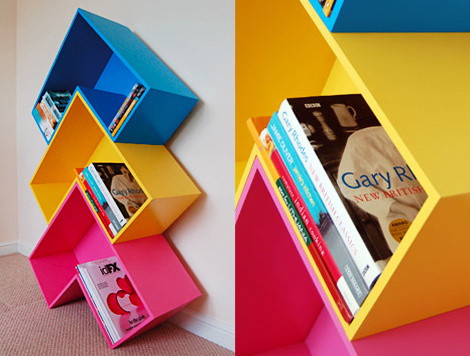 Triangular Bookcase : Fitting’s Triangular bookcase comes with ‘linking system’ that enables you to place a few together to be fixed to your wall. The modular design enables an infinite variety of assembly solutions. The Hole In The Floor es una librería creativa e inusual. Bordes Raw Design Studio. Libreria triangolare Fitting un design modulare consente una varietà infinita di soluzioni di montaggio. Libreria Carlton disegnato da Ettore Sottsass nel 1980 è una libreria multicolore in laminato. Salkim Bookshelf non è una tipica libreira in legno massiccio, ma è composta da un sottile filo di acciaio. 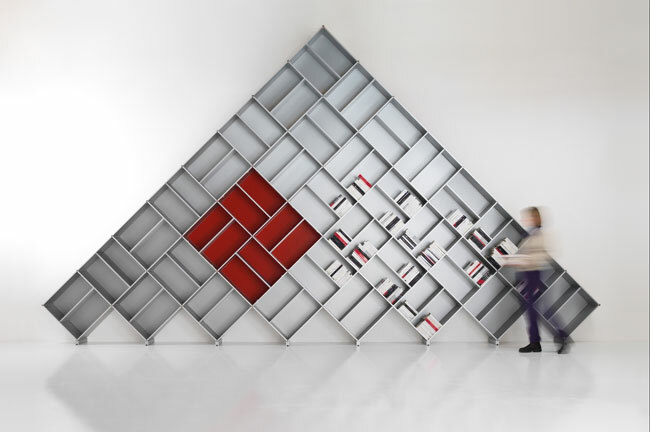 Libreria freccia disegnata da T Ben, modulare e simpatica, ideale per la stanza dei ragazzi. 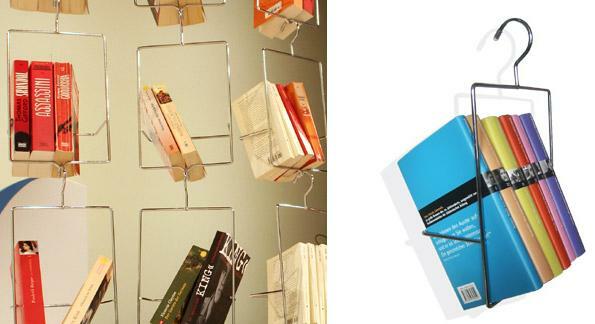 Paperback Bookshelf : The Paperback wall system comes with thin shelves that store books horizontally. Carlton Bookcase : Carlton Bookcase designed by Ettore Sottsass in the 1980s is a multicolored bookcase made of pattern laminate. Floating Shelf : Bookshelf Salkim isn’t a typical bookshelf; instead of solid wood, thin steel wire was used to form pendants, which hold together group of books. 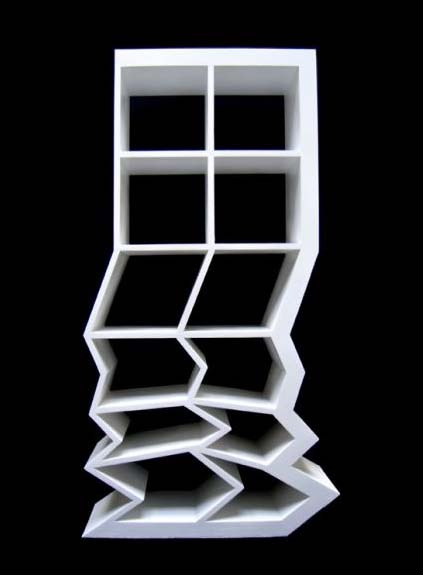 Arrow Bookcase : Designed by T Ben, the modular designed bookcase lets you arrange it as per your requirement. La librería triangular Fitting tiene un diseño modular que permite una infinita variedad de opciones de montaje. 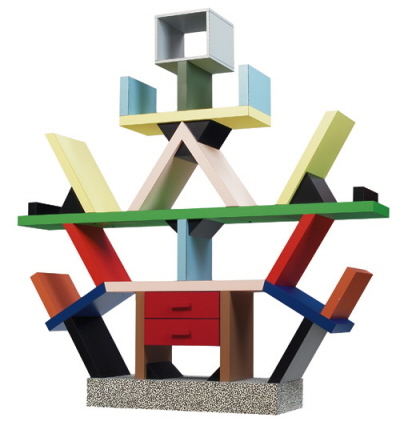 La Carlton, diseñada por Ettore Sottsass en 1980, es una librería en laminado de colores. Salkim Bookshelf no es la típica librería de madera maciza, sino que está compuesta por un alambre de acero fino. La librería flecha ha sido diseñada por Ben T. Modular y acogedora es ideal para las habitaciones de niños. It’s definitely stimulating to read material from different writers and learn something from their site. Good blog. Thanks, we want more! Added to my list of favs as well.